So Right, and Yet, Sarong. (A Packing Light Tip) | Committed. I recently went to Hawaii with my husband, daughter, in-laws and my sister. My sister is an awesome gal and has spent the last several years traveling the world. She basically lives out of a backpack, which is really impressive! Needless to say, she’s picked up some habits along the way that make this lifestyle easier. I find that we’re so encumbered by STUFF that sometimes going places is more stressful than necessary. Our carry-ons alone were borderline ridiculous, but I felt that we needed to be prepared to feed and entertain and clothe our toddler in case we were delayed or luggage was lost. (This brings me to a tangent discussion of the horrid nature of airlines, but that will have to wait for another post). Anyway, the thing I learned from my lean-travel sister: bring a sarong, and you can cut back on at least 25% of your bulk. 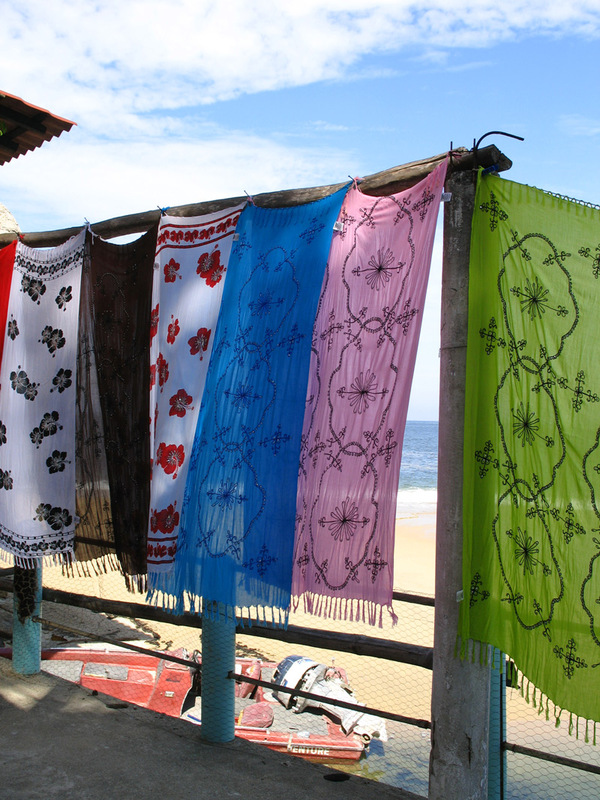 Sarongs air dry 100,000x faster than towels. It’s science. ©2008, Committed LLC. It can take the place of several items of clothing: skirt, dress, top. The towel thing was the biggest revelation to me, but I like the options of wearing it a different way over several days. What other light-packing tips do you have to share? great idea! we’ll try this during our next trip to costa rica. Ooh! Costa Rica! Yes, it’ll definitely come in handy, especially if you’re hopping from place to place. Have a great trip!